What should you do if you have been served with a Summons and Complaint? If you have been named as a Defendant in a civil lawsuit and served with a Summons and Complaint, you have a limited time to act in order to preserve your legal defenses. Typically you must serve an Answer within 20 days of the time that you were served. It is not legally sufficient for you to write a letter or call the Plaintiff or their attorney stating that you disagree with what they have alleged in the Complaint. You need to formally serve a pleading called an Answer in order to preserve your defenses. You may also be able to make some claims of your own against the Plaintiff (called Counterclaims). You may need to bring another party into the lawsuit, if the Plaintiff failed to sue a person that you believe may have some responsibility for some of the alleged damages. 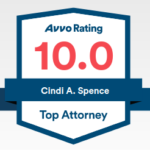 In order to make sure that your legal defenses are preserved, and that you make any claims that you may have against the Plaintiff or others, it is vital that you talk with an attorney experienced in civil litigation promptly. It depends. In Minnesota each party typically pays for his or her own attorneys fees unless: 1) there is a provision in a contract between the parties that provides for the payment of attorneys fees in certain situations, or 2) there is a statutory basis for recovery of attorneys fees (for example under the Minnesota Consumer Fraud Act). How will Spence Legal decide what to do with my case? At Spence Legal, we have successfully sued and defended hundreds of individuals and entities in Minnesota Courts. We know the best legal strategies to move a case forward to the best possible resolution. We work with our clients to determine the most appropriate strategy for their particular needs. Sometimes this involves a minimalist approach, in order to save you money yet move towards resolution of the case. Sometimes this involves an aggressive approach, involving extensive information gathering (discovery) and depositions. Sometimes the best way to resolve your case is to get together with the other party early on and attempt to negotiate a settlement agreement that everyone can live with. At Spence Legal we will work with you to decide the most effective way to proceed with your civil lawsuit. What can you do if someone else has caused you harm or damage? If you have a claim against someone for causing harm or damage to you, you should consult with an attorney to determine how to proceed. Sometimes hiring an attorney to write a letter to the person who has wronged you is the most effective way to resolve the issue without expensive litigation. If litigation is necessary and the dollar amount of your damages is less than $7500, you may want to proceed on your own in Conciliation Court, in order to save yourself the expense of hiring a lawyer. However, there are certain situations where you may still want to hire a lawyer and sue in District Court, even if the claim is less than $7500, depending on the nature of the claim, the relief you are seeking and whether there is the potential for recovery of attorneys fees. At Spence Legal, we will work with you to evaluate your potential claim, the amount of your potential damages, and the best way for you to proceed. Does Spence Legal provide a free initial consultation? Yes! We typically spend about an hour with potential clients to assess their situation and decide if we can provide legal assistance. We think it is important for an individual and an attorney to meet in person, in order for both the attorney and the potential client to decide if the fit is a good one. You will be working with your attorney closely on your legal issue for a long time, so it is important that you are comfortable with your attorney (and that your attorney is comfortable with you).